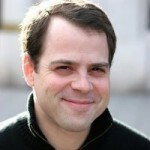 John Lilly is a partner at Greylock Partners with a focus on consumer Internet and enterprise software. Prior to Greylock, John was CEO of Mozilla, the organization behind Firefox, an open source Web browser used by more than 400 million people. John also co-founded Reactivity, an enterprise security infrastructure company acquired by Cisco in 2007, where he served as founding CEO and later CTO. John is currently on the Board of Directors of the Mozilla Corporation and the Participatory Culture Foundation, and has previously served on the boards of directors of TripIt (acquired by Concur in 2011), CenterRun (acquired by Sun Microsystems in 2003), and Reactivity (acquired by Cisco Systems in 2007). He is a co-inventor on 7 United States patents.